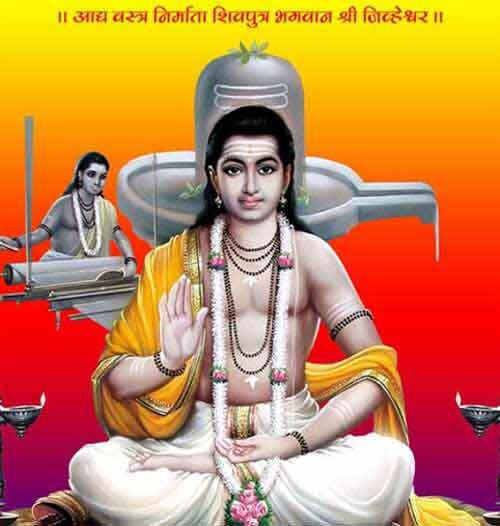 Bhagavan Jivheshwar Jayanti is the birth anniversary of Bhagavan Jiveshwar the spiritual mentor of the Swakula Sali community around the world. Bhagavan Jivheshwar Jayanthi 2019 date is August 13. Jihveshwara Jayanthi is observed on the thirteenth day (Trayodashi) of the Shukla Paksha or waxing phase of moon in the Shravan month as per traditional calendar followed in Maharashtra. Bhagavan Jivheshwar is worshipped by Swakula Sali community. The name Jivheshwar comes from Jivha (tongue) and Ishvara (god), which means the one who is born out of tongue. The popular belief is that Bhagavan Jivheshwar manifested from the tongue of Shiva. The community specializes in weaving clothes. Swakula Sali community is today spread around the world and in India they are concentrated in Maharashtra, Karnataka and parts of Andhra Pradesh.